1909 S. S. Republic and JACK BINNS. By this year nearly all large ocean-going vessels had been equipped with wireless apparatus, since it served as a safety line and means of contact with land. Fortunately so, for on January 23rd of this year the White Star liner Republic rammed the Florida off Nantucket Island and commenced immediately to sink. Jack Binns, the wireless operator on the Republic broadcast his famous “CQD” (“SOS” would later become the distress call) which brought rescue ships who saved all but six of the entire crew and passengers. This drama, so intense and poignant was reported to the world by the press of the day, and created such a favourable impression on the public’s mind so that wireless’ place in maritime communication was assured. 1911 Ships Require Wireless. 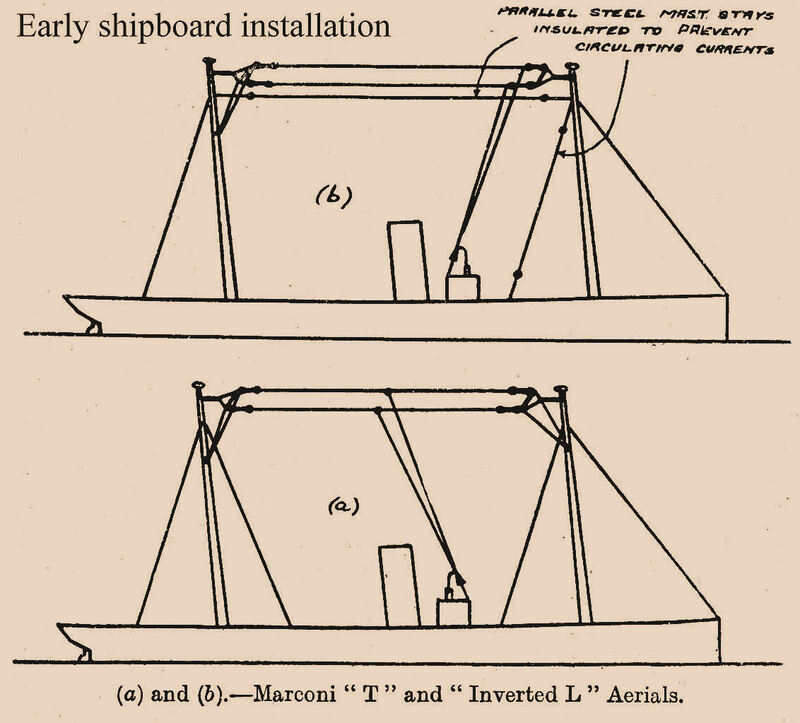 As a result of the Republic episode, the U.S. Congress passed an act (signed June 24th 1910) which made it unlawful for any ship, whether foreign or American, plying United States ports at least 200 miles (320 kilometres) apart to leave these ports without wireless equipment in good working order. Such apparatus was also required for all American ships clearing for foreign ports. Another milestone occurred during 1911 when Hugo Gernsback’s New York based E. I. Co., an electrical parts outlet, became the first to sell audions (DeForest’s triode valve) to the public. 1912 Titanic Disaster. When this great liner struck an iceberg in mid-Atlantic on its maiden voyage, its wireless calls for help (first use of the “SOS” distress signal) were received by the Carpathia which managed to arrive in time to pick up many survivors. An unfortunate incident was brought out later, when it was discovered that one ship had been much nearer, and could have saved many more people – if it had not been that only one wireless operator was employed on the ship and that he was “off-watch” at the time. It resulted to an amendment to the United States Radio Act of 1910, requiring that two operators be employed on a ship, so that constant watch could be maintained. 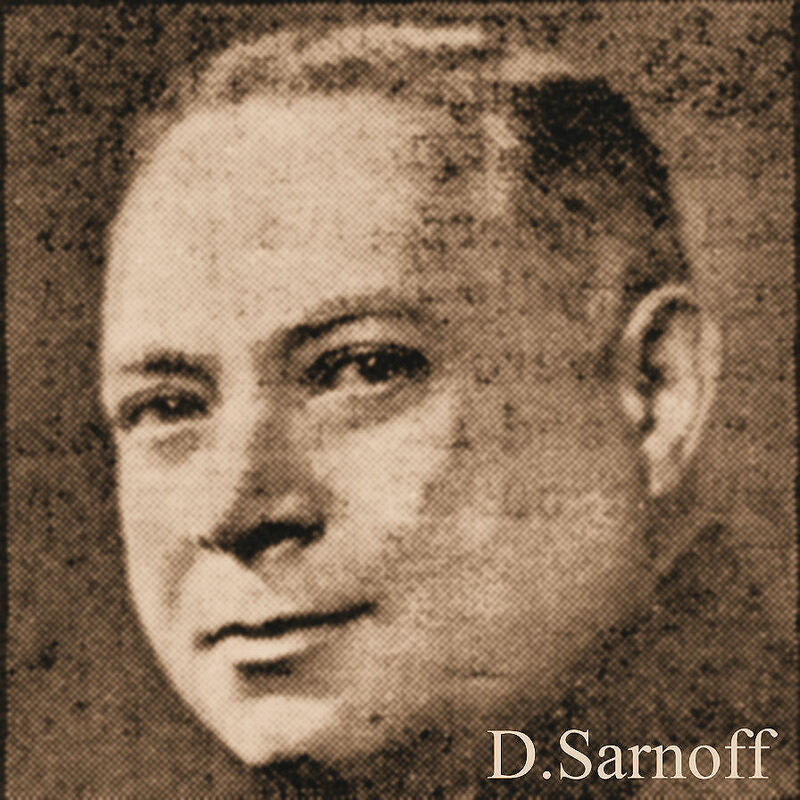 Also, out of this story emerges a new figure in the world of radio – David Sarnoff, to become, in 1930, president of the Radio Corporation of America (RCA). At the time he was working as a Marconi operator at the Wanamaker Radio Station in New York City. He monitored the signals exchanged between Titanic and its rescuers, the reports concerning the rescue work and, finally, a list of the survivors so that an anxious world could be advised of the consequences of this tragedy. This year also saw the passing into law of the American “Radio Act of 1912” which required, amongst other things, for amateur radio operators to become licensed and to operate in the, then considered “useless for long distance”, short wavelengths (amateurs would later prove quite the opposite) below 200 metres (shortwaves). 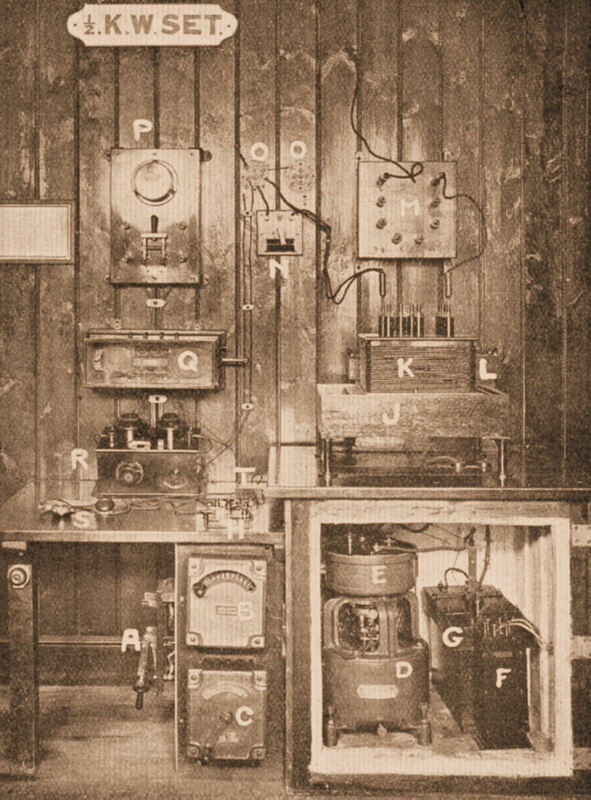 From the early 1900’s amateurs had operated their spark transmitters wherever they liked, resulting in much interference, particularly throughout the heavily populated areas. 1912 ARMSTRONG and Regeneration. Edwin H. Armstrong, at the time was a 22 year old New York undergraduate engineer and amateur radio operator. He conceived the idea of using a De Forest audion to amplify the incoming signal not only once by a few hundred percent, but to use it over and over by “feeding back” to the input a portion of the signal energy from the output circuit of the tube. This technique produced “regeneration” of the signal, which greatly increased the sensitivity, and selectivity of the detector. Armstrong sort a patent in 1913 which resulted in litigation with De Forest who claimed he had discovered it with an assistant (Van Etten) earlier than Armstrong, though had not bothered to patent it. The litigation continued for many years and finally resulted in De Forest being awarded a patent by the U. S. Supreme Court in 1934, even so, today the discovery of regeneration is generally accredited to Armstrong (along with the superhetrodyne receiver and FM). In any case it was beyond doubt the most important discovery in radio since the vacuum tube itself. 1912 - 1913 LANGMUIR and ARNOLD’s research results in huge improvements to vacuum tube performance. 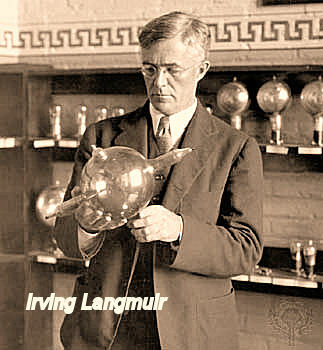 Working for the G. E. Laboratories Irving Langmuir, and (almost simultaneously) Harold Arnold, working for Western Electric Company, introduced “high vacuum” to radio valves. Up until this time, because operation of the vacuum tube was not fully understood, it had been thought that some gas presence in a valve was a necessary part of its operating mechanism. Langmuir and Arnold recognised this not to be the case and went further in fully identifying the valve’s operation. They also developed methods by which the tube could be fully evacuated and adapted these to mass production techniques. 1914 HIRAM PERCY MAXIM and CLARENCE D. TUSKA form the ARRL. When Maxim, President of the Radio Club of Hartford (Conn), wished to send a message to another amateur but who he found was beyond the range of his own transmitter, Maxim used another station to relay the message. This sparked, in his mind, the idea of setting up a national relay network. Though message relays had often been conducted before, it was the first time someone envisioned development of a countrywide message handling system. 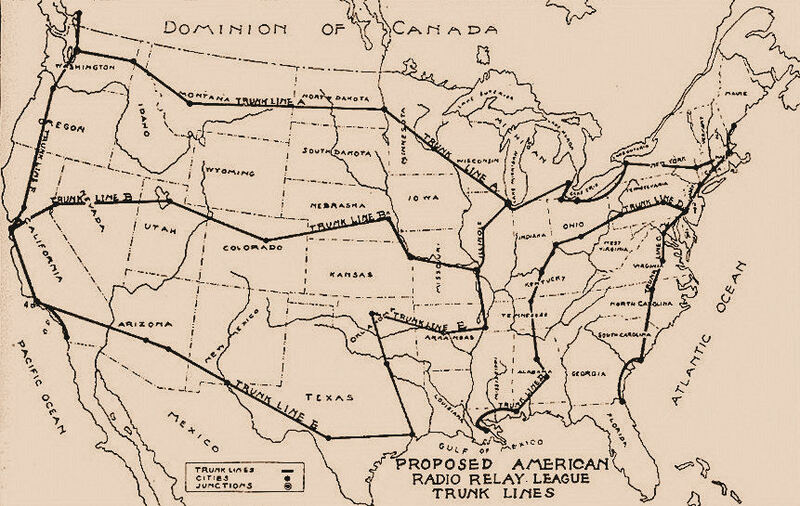 Maxim’s idea resulted in the establishment of the “American Radio Relay League”; the first steps toward this end were taken on April 6th 1914. By September it had 237 members in 32 states and Canada, paying no dues, save for enthusiasm. 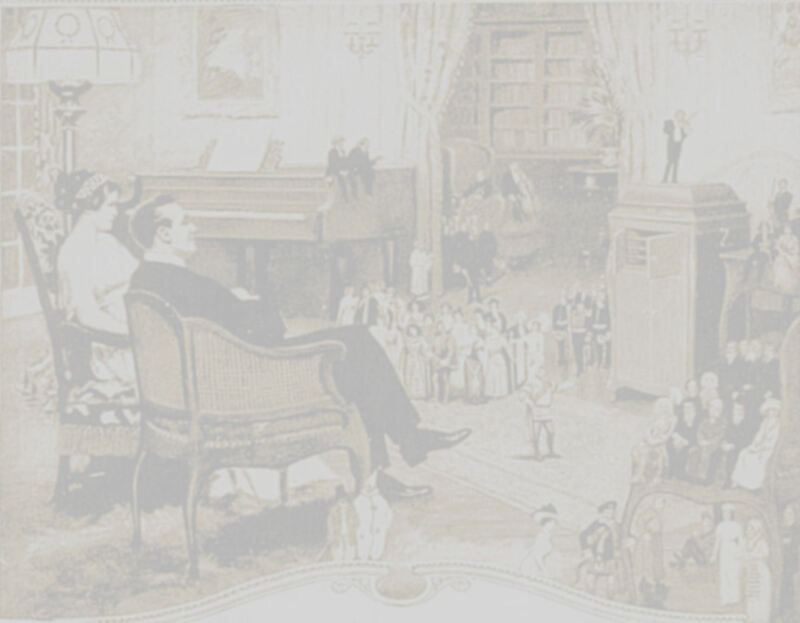 In early 1915, the ARRL separated from the Hartford club and was legally incorporated as a separate organisation. Maxim became its president while Tuska its secretary. The first official magazine, “QST”, was published in December of that year. 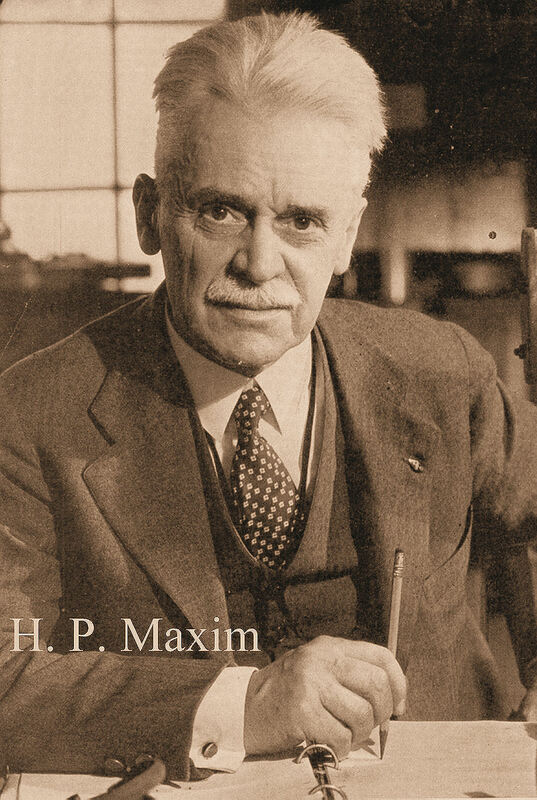 Maxim remained president of the ARRL from 1914 until his death in 1936. PDF Article "Greatest Of All Amateurs" by Hiram P Maxim, describing his meeting with Marconi - from the September 1922 issue of QST magazine. 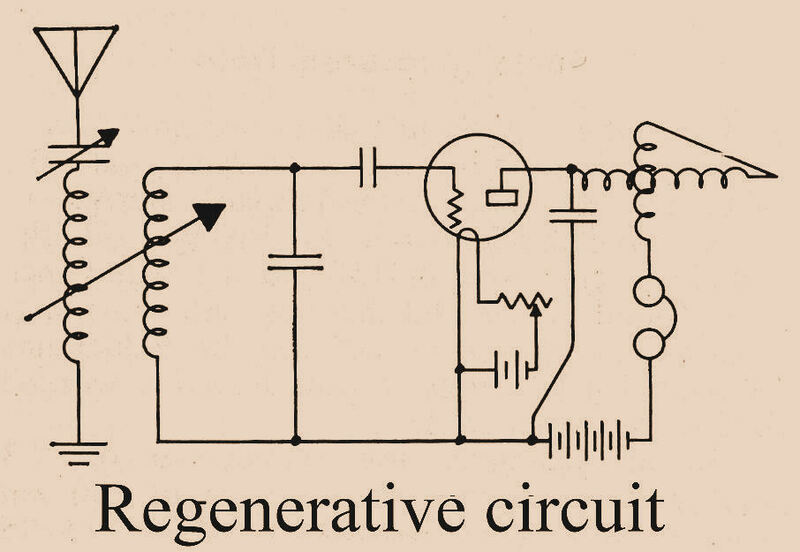 The 1920’s brought many refinements in valve circuit technique, for example Rinartz’s superior regenerative receiver, Armstrong’s superegenerative and superhetrodyne receivers as well as the neutrodyne receiver. By opening up low power trans-Atlantic communication, the amateurs, through the ARRL and Paul Godley (using Armstrong’s superhet receiver), (PDF file with the full story of Godley's achievements from a February 1922 QST Magazine article) (PDF file giving the full story of Armstrong's Station 1BCG's achievements from a February 1922 QST Magazine article) proved how useful the “useless” shortwave bands were.